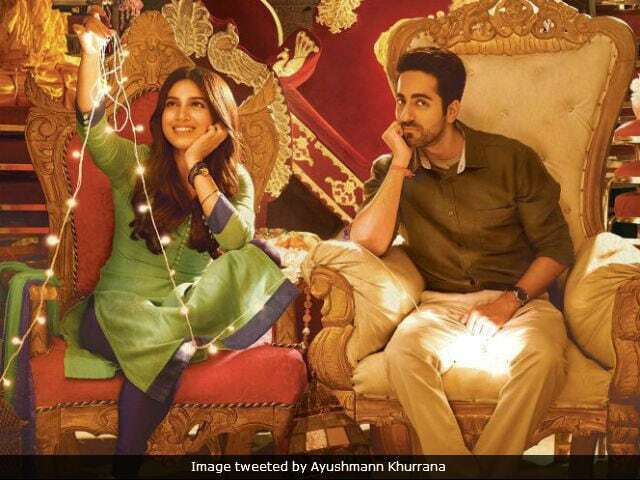 The new and the third song of Ayushmann Khurrana and Bhumi Pednekar's Shubh Mangal Saavdhan has been unveiled by the makers of the film today and it is surely high on calories. The song is titled Laddoo and it's too sweet to resist. The song shows how Mudit (Ayushmann) finds ways and tries new tricks to deal with his gent's problem so that he can be with his love Sugandha (Bhumi). While Ayushmann and Bhumi were seen romancing in Kanha, Laddoo is picturized after the two realise Mudit's problem. The song is sung by Mika Singh and will definitely add sweetness to your lives. The lyrics of Laddoo have been written by Tanishq-Vayu. The duo have also composed the music of this song. The two-minute song is both funny and peppy at the same time. Sharing the song on Twitter Ayushmann wrote: "Laddoo song by Mika Singh is out there to win your hearts with its sweetness." Ayushmann and Bhumi were earlier seen together in the National Award-winning film Dum Laga Ke Haisha. The duo's chemistry will now be seen in Shubh Mangal Saavdhan, which is directed by R S Prasanna and produced by Aanand L Rai. Shubh Mangal Saavdhan is a remake of 2013 Tamil movie Kalyana Samayal Saadham and has been shot in Delhi and Haridwar. The film will hit the screens on September 1. Ayushmann's Bareilly Ki Barfi released recently, co-starring Kriti Sanon and Rajkumar Rao while Bhumi was last seen sharing screen space with Akshay Kumar in Shree Narayan Singh's Toilet: Ek Prem Katha. Have you added the sweetness in your life with Laddoo yet?